The Pony of the Americas originated in Iowa, US. They are all related to one horse named the Black Hand. 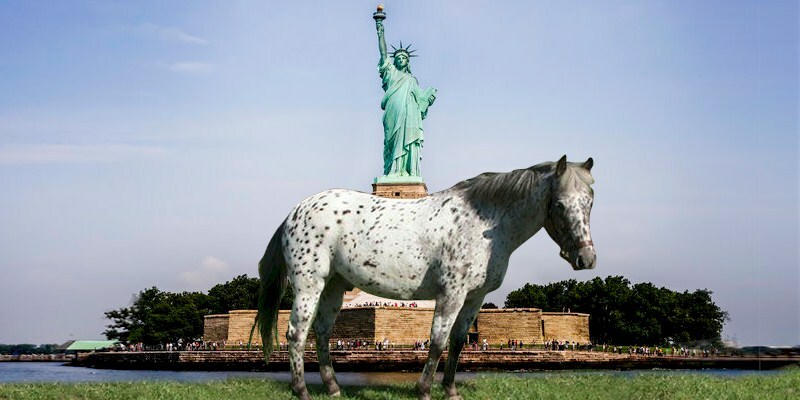 They were development by breeding an Appaloosa Arab horse with a Shetland. Black Hand was the horse of an attorney named was Les Boomhower. Les gave the horse the name for the markings situated on their quarters. Today they can be found in Minnesota, Iowa, Nebraska, Kansas, Missouri, Wisconsin, Illinois, and other Midwestern states. Ponies of the Americas are very smart horses with a calm and giving temperament. They are gentle and can be trusted to travel on their own when needed. They can stand up to thirteen hands tall, with the vast majority of them coming in just under eleven or twelve hands. They have a refined head, concave profile, and what is noted as an elegant head. They also have sloping shoulders and very muscular quarters as well. Their coats can be of all colors and shades, but they are always bred to be spotted.